Think social media and trade shows are completely separate? Think again. From creating buzz to drawing invaluable clients and customers, social media can be a powerful tool in your trade show marketing arsenal. If you’re planning a trade show exhibits, putting your social media presence to work in the weeks and months leading up to the event can help you generate more foot traffic, earn more media coverage and increase your return on investment. However, like all forms of marketing, it’s important to have a clear strategy prepared before you put your social media presence into action. Below, we’ve listed six creative and effective ways that you can use social media to gain an advantage for your next trade show or industry event. Do you have clients or customers in the same location as your trade show? Trade shows can be fantastic opportunities for reconnecting with your existing customers, helping you retain more of your existing clients and customers and strengthen your relationships. Often, a quick meeting with an existing customer at a trade show is all it takes to grow a working relationship and generate more revenue for your business. Because of this, it’s best to reach out to your existing customers in the weeks and months that lead up to a trade show. A quick Facebook or Twitter direct message is often all it takes to keep them informed and schedule a meeting. Trade shows also create an opportunity for you to reconnect with past clients and customers via the same strategy. Again, a short, friendly direct message is often all that’s required to schedule a meeting and potentially rekindle a valuable connection for your business. If you run a B2C business, one of the best ways to generate foot traffic during the early stages of a trade show is to reach out to your fans, followers, and supporters. Trade show booths thrive on activity. If your booth looks like a bustling, busy place, a greater number of attendees are likely to drop in throughout the event, even if only to see what all the other attendees are checking out. This makes early foot traffic an important aspect of setting your booth apart as a “hot” exhibit that deserves people’s time and attention. If you have a following on Facebook, Twitter, Instagram or any other social platform, create a public status update to let your followers know where you’ll be. If you provide a time and date that’s early in the event, it could be enough to provide a steady, consistent flow of foot traffic. Have you just finished setting up your booth? Let your audience know with a tweet, photo or status update. Just switched on the lights at the start of the trade show? Inform your followers and let them know where they can find you. One of the most effective ways to use social media throughout a trade show is to send out live updates as the event takes place. From important visitors to your booth to product demos, use every opportunity possible to provide more content for your fans, followers, and supporters. Can’t think of subjects to tweet about? Try showing your audience when attendees interact with your products or provide informative updates about the show for people with an interest in your brand that couldn’t attend. Most trade shows feature keynote presentations and panels, often from major thought leaders in your industry with their own loyal followings of fans. As a business, you can tap into these audiences by mentioning the influencers taking part in the trade show. Often, a simple tweet with a thought-provoking quote is all it takes to reach a certain presenter or panel participant’s audience, exposing thousands of new people to your brand. For extra visibility, you can even include the presenter’s Twitter username in your update. This way, there’s a chance they’ll retweet and share your status update, increasing your reach and putting your message in front of an even wider audience. Better yet, make the most of the opportunity and consider inviting a keynote presenter or other guest to visit your trade show booth design company. You might be surprised by how simple it is to organize a fast visit from an industry influencer, especially if your product or service appeals to their audience. If you’re taking part in a large show, one of the best ways to increase your social impressions and generate more attention is to make use of the show’s hashtags. Most event organizers will provide information on social media hashtags ahead of time, making it easy for you to theme your tweets, status updates, and other posts. 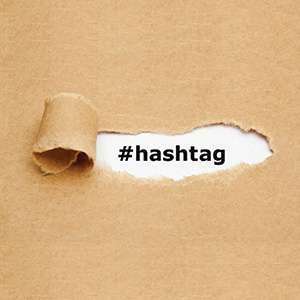 If not, you can always pay attention to Twitter activity in the lead-up to the event and tap into popular hashtags. During the event, a great way to stay on top of buzz and keep up to date with what people are talking about is to monitor the event’s hashtags. Not only will you be a step ahead of most other exhibitors — you’ll also get a great feel for what people are enjoying about the event. Once the show is over, social activity that includes the event’s hashtag can be a gold mine for your sales and outreach teams. Want to generate as much foot traffic as possible during an event? Combine tweets, Facebook status updates and other social media content with a giveaway to bring as many attendees as possible into your booth. From discount coupons to pens, coffee cups, and other common free items, giveaways can be great tools for generating foot traffic. Promote your giveaway in a tweet that features the event hashtag and you can tap into the attention of attendees who are active on social media. This tactic is widely used for a reason — when done right, it’s highly effective. Combine the right giveaway with the right approach to social media and you can create a powerful source of foot traffic that keeps your booth busy for the whole event. Are you considering taking part in a trade show? Whether you’re exhibiting for the first time and need help getting started or want to maximize your ROI as a frequent trade show exhibitor, our expert team is here to help. From custom booth design to exhibit rental, logistics, assembly and more, we offer a complete range of trade show services. Contact us now for more information or to speak to a member of our team.